Checkpoints of varying point values are marked on a topographic map; how many can you find before time runs out? Whoever collects the most points wins! Navigation racing is old school: no GPS gadgets, just a paper map, your wits, teamwork, and a ton of fun! For this season opener, we’ll have a brand new set of checkpoints for you in the forested trails, suburban streets, and grassy promenades of the Lake Desire neighborhood, perched above the Cedar River Valley. Find as many checkpoints as you can in your pick of 2-hour or 4-hour events. Participate solo or in a team of 2-5 people. Are you new to nav racing? That’s okay! Check out the “First Time?” section to learn how it works. Be sure to show up to the free Introduction to Navigation session at 9:00am on event morning! We’ll provide an introduction to the map, reading contours, basic navigation, and how to use the compass to orient the map. Thanks to Jan Urban for setting up Route Gadget (or use the classic interface of Route Gadget) for the race. It allows you to draw your route or upload a GPS track of your route, so that you can compare routes with other participants. Take care not to draw through the finish (double circles) until you are done with your route, or it will terminate the route entry. Online pre-registration closes Thursday, March 24th at 11:59pm. Day-of-event registration is available, with payment by card, cash, or check made payable to MerGeo. Are you new to navigation racing? Check-in early so that you can attend the Beginner Instruction session at 9:00am. 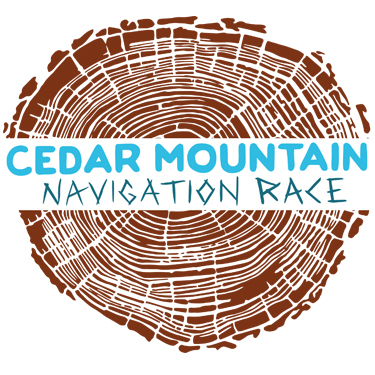 We’ll go over the basics of navigation racing, some basic skills to get you through the event, and map symbols. Start, finish, and registration/check-in are all located at Petrovitsky Park in Renton, WA, where there is a paved parking lot. Use the above Google Maps link to get directions to the venue. The trails will be open to other users during the event. Please be courteous. The amount of trail traffic will depend upon the weather.